This weekend we have had our first taste of Autumn. The rain has been lashing against the windows, the wind has been howling and I have genuinely felt cold at times – but the heating is not on yet. I’m sad to see the back of Summer, not the absolutely boiling hot days, but as sun worshipper myself I dislike the shift into the colder days of Autumn. However Autumn brings about the start of X-factor and cosy nights in at the weekend with a glass of wine, and also the excitement of getting closer to Christmas. Given the change in weather I’ve really started to think about how to keep our house warm this Autumn and Winter. 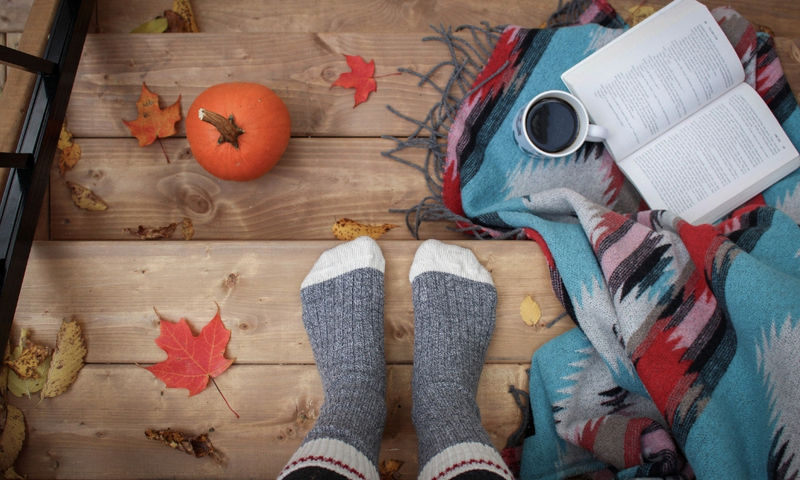 So here are my five tips to keep you and your home warm during the colder months of the year. Think big snuggly jumpers, sweatshirts, roll necks and layering. You can look super stylish during the winter months and stay on trend with leopard print jumpers, that can be layered up over t-shirts and vests. You can also invest in chunky scarfs or blanket scarfs that can be wrapped around you in and out of the house on a cold winters day. 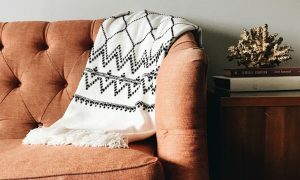 It’s also not just about what you wear, but you can keep warm at home when you’re watching TV or reading a book, by snuggling up under a thick cosy blanket. By doing all of these things can help limit you from reaching to turn up that thermostat. Your heating system in your home is so important, and you would feel lost without it on a freezing cold day. Before winter well and truly arrives make sure that your heating system, boiler and radiators are in top notch condition, and this is where Central Heating Quotes can help you. Simply tap in your postcode along with whether you need a central heating installation, repair or maintenance, and the website will find the best the engineers for your requirements and budget. This reminds me that I had better make a booking for our boiler to be serviced to make sure that there are no problems with it, and also to make sure it is being as energy efficient as possible. There is nothing worse than feeling a cold draft on your feet. So whilst the weather is still bearable make sure that you block up any drafts that you can feel around your home. Check that all windows are draft free, and that there are no drafts coming up from floorboards. Hopefully any drafts you do find can easily be fixed with a little bit of filler, or by placing a rug over bare floorboards. Simply playing a game of hide and seek, or making pretend boats and dens in the house will be enough to warm you and your children up. Getting up and active will get the blood going and make you feel a lot warmer. As well as this if you’re feeling cold you can also use the housework to work up a bit of a sweat – hoovering, mopping the floors and cleaning the bathroom, all make me feel boiling hot in no time. Lastly you can light an internal flame inside your tummy by cooking some delicious food to warm you up. 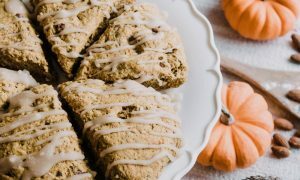 Autumn and Winter are ideal times to cook yummy roast dinners, one pots and delicious soups, as there are so many wintery vegetables that can be added to these. I also find that cooking or using the oven makes the house feel a lot warmer as the heat from the oven will help to warm up the room. I don’t know about you but I’m thinking about butternut squash soup and slow cooked chilli already. 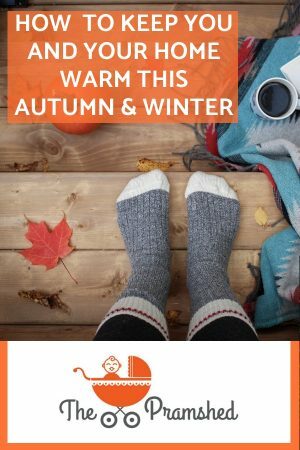 So those are just five simple ways that you and your home can stay warm this Autumn and Winter. Are you looking forward to the colder months, or dreading them a little like me? Emily and Indiana recently posted…An Interview with my Three Year Old | Parker at 3!